It was about time to redo this [link] . Now I'm finished, and I was really suprised how fast it goes. Took me about two or three hours, wich is quite fine I think. 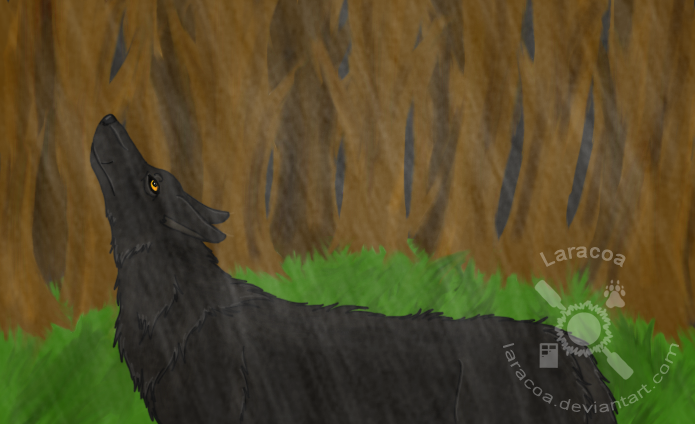 What do you think of the rain on the wolf? My first time with wet fur. The wolf is my character Nyota, wich has already died. This was the situation when she followed the silent call of her diyng sister, Banshee.